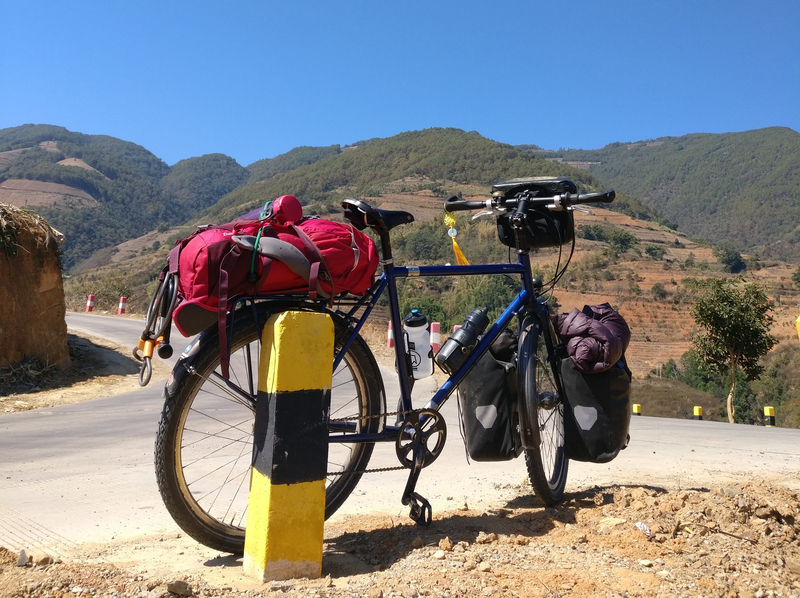 My health has suffered mostly from more than a year of bicycle travel and the illnesses I picked up on the way before I came to China. Speaking of ridiculous (straw man alert): of course my own country has fruit and veg, but here it is abundant and a lot more affordable, so yes I am enjoying that. And the good weather, the opportunity to go out into the countryside etc as I also pointed out, and glad I am slowly getting back to good health. I did an online TEFL course while I was travelling, to increase my chances of getting a teaching job. You get what you pay for: it's cheap, it's not rocket science, still it's a nice refresher on how to structure your lessons, grammar etc. It definitely made me feel more confident going into job interviews and demos, and you tick one more box for having a TEFL certificate. but I only had to show my passport and my BOC bank card. Worthwhile for larger amounts for sure. I've used PayPal before for small amounts, it is indeed super convenient but I thought the cost was too high. Will have a look at the cost for higher amounts. It is so much more convenient than having to waste half a day to go to the bank and do the waiting and the paperwork! I have euros, I don't need to exchange anything, I just want to know if it is possible to transfer amounts larger than 500USD per day from a Chinese to a European bank account. As far as I know there is limit of 500USD per day for EXCHANGING money, but I don't know if this limit also exists for TRANSFERRING money abroad. This is what I would like to confirm. Hi @kc430 I always have a few reusable bottles with me that fit in the bottle holders on my frame or I stick them under the bungee traps at the back. I try not to buy bottled water for the plastic waste but fill up whenever I can at restaurants etc. Next to that I have a UV water purifier so I can drink water from streams if need be, but this is hardly an issue in China since there are villages and towns everywhere where you can fill up. Lovely cafe. Big conservatory style windows with greenery instead of traffic outside, no noise and a nice cat. All in all a peaceful atmosphere and a good place to work or have a chat with a friend. They serve very good coffee (roasted on site) and tea. Didn't try the food. I ended up at ER and later in a private room at the cardio department with quite scary symptoms. My friend who speaks fluent Mandarin was with me when we checked into the ER which was great as I don't speak Chinese very well. They were very quick to test and remedy the immediate symptoms and kept monitoring me throughout. I felt safe and well looked after. A day later I had an English speaking cardiologist who kept me well updated on what was going to happen next with regards to tests and results. The nurses were also very helpful and kind. I got thoroughly tested and got a sound diagnosis. The toilets are pretty disgusting (no paper, no soap, not clean) so I was happy to have my own clean bathroom once I moved to the private room. Friends and family have to bring food and sundries and help with washing etc as the hospital doesn't provide this. I thought this was the most authentic and historic part of my visit to Lijiang. It was also really quiet and peaceful. I was staying in Shuhe so it was only a short bicycle ride away from my guesthouse. Together with a wander around a Baisha it makes for a beautiful and peaceful escape from busy Lijiang. I have only heard stories about the 'old' Hump, but the new Hump is amazing! Beautiful clean, new and spacious dorms in a historical building that is really well-restored. The location and the views from the rooftop terrace are great, so even if you are a Kunming resident and not staying in the hostel it's good place to visit for a drink or something to eat.